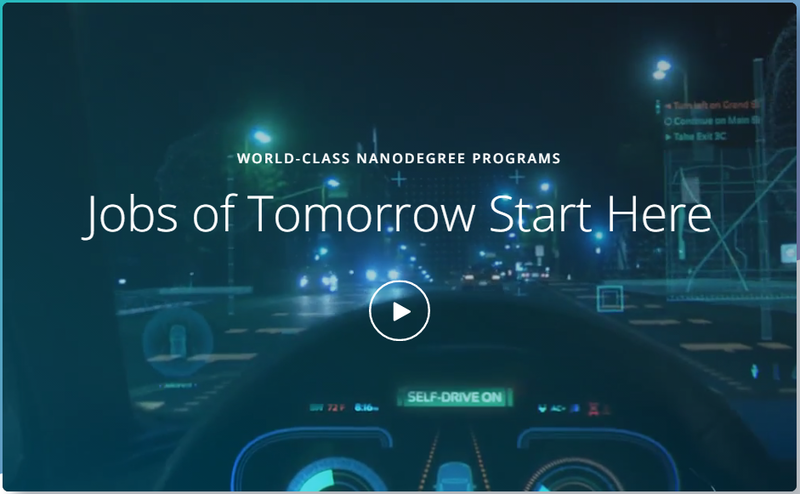 If you enroll for the Udacity Nanodegree Plus program, Udacity promise that “you’ll get hired within 6 months of graduating, or we’ll refund 100% of your tuition”. Which is a bold promise. But of course there are terms and conditions to this promise. But this is where is gets interesting to me. The terms and conditions are so comprehensive that it seems to me that they should be required actions for anyone who is looking for a job! Graduate is active in their job search and demonstrates this activity by submitting a minimum of 5 [job] applications per week. Graduate establishes meaningful connections with an average of 3 relevant industry professionals each week via email, LinkedIn or Twitter resulting in conversation about an open role. Graduate schedules a 1:1 appointment with [a careers guidance person] if after 2 months they’re not having success in finding work. I think that everyone looking for a job should be doing these things – not just those in the Udacity Nanodegree program!